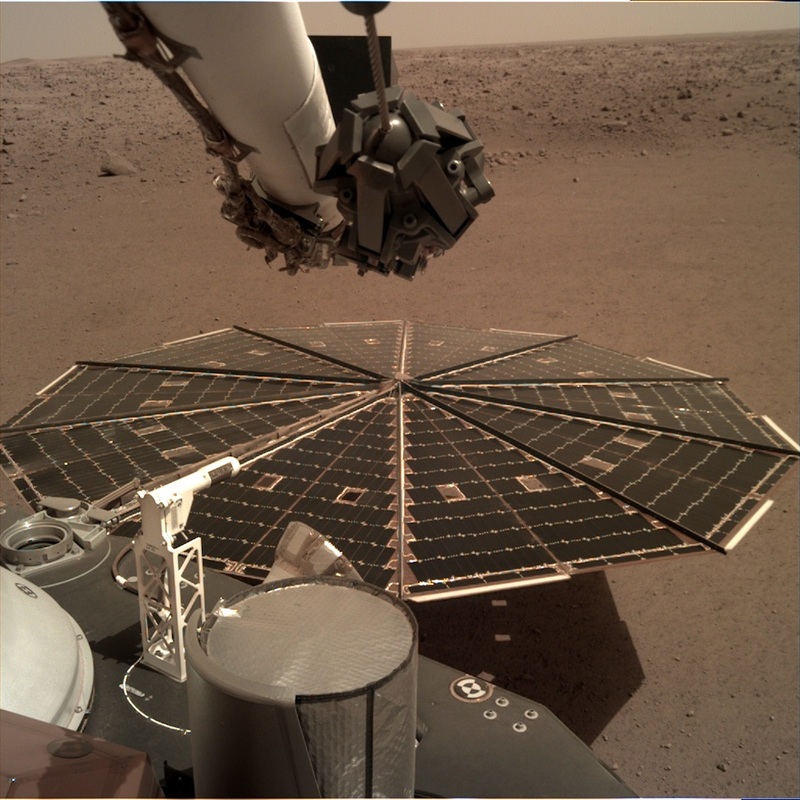 NASA’s Mars InSight lander is designed primarily to study the Red Planet’s interior, but it’s already produced a big bonus in the form of the first listenable sounds of the Martian wind. The low-frequency sounds, plus an audio version that’s been bumped up a couple of octaves to enhance listenability, were released today by the mission team at NASA’s Jet Propulsion Laboratory. The Dec. 1 detection took advantage of several components of the car-sized lander, including its solar panels. “You can think of it rather in the same way as the human ear,” said Imperial College London’s Tom Pike, the science lead for InSight’s Short Period Seismometer.